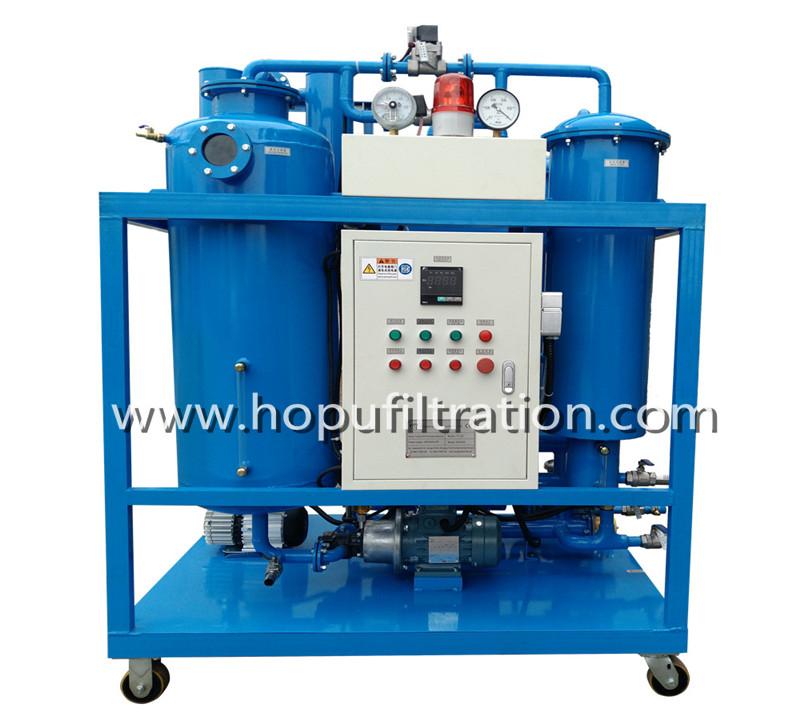 ZYD-I Series Transformer Oil Vacuum Regeneration Purifier is designed for purifying used or aged transformer oil, super high-voltage transformer oil, switchgear oil and different insulating oils. 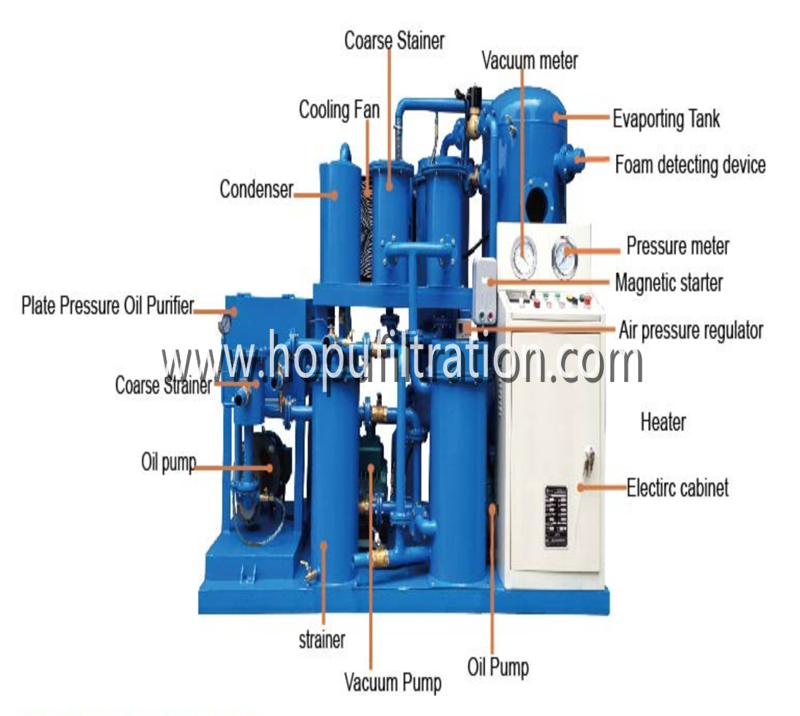 The system can remove the free water, soluble water, gas, acid, PCB,free carbon (polarity material) ,big and small size particules, increasing the pressure force and quality of oil, improving the breakdown voltage value, making the transformers and electric device running safely. 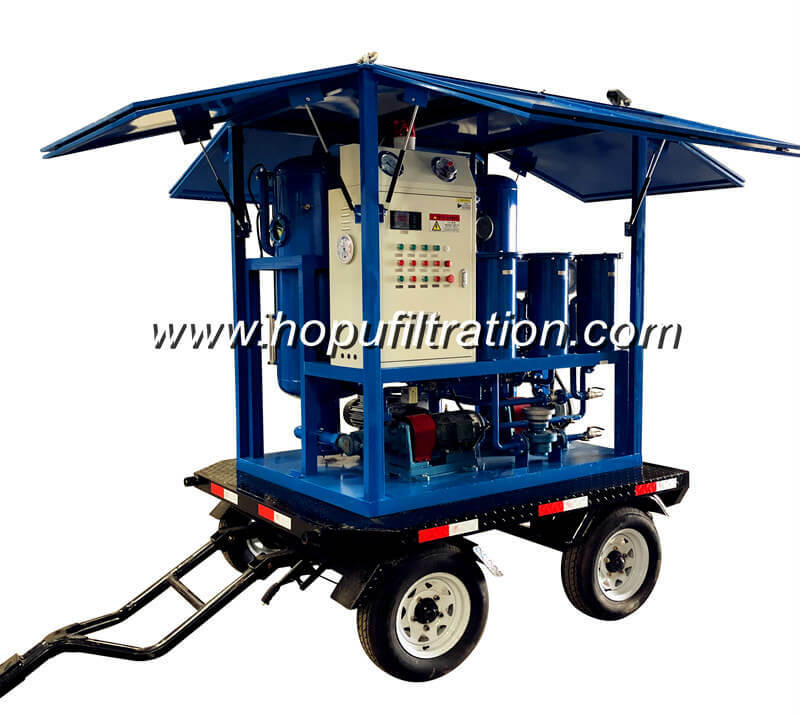 The ZYD-I system not only provides regular oil purification such as degassing, drying and particulate removal but also can remove acidity, sludge, free carbon, other soluble oil decay products and discoloration. It is very suitable for power distribution system, power grid and various companies which need to install and maintain oil-immersed transformers,de-energized transformers. 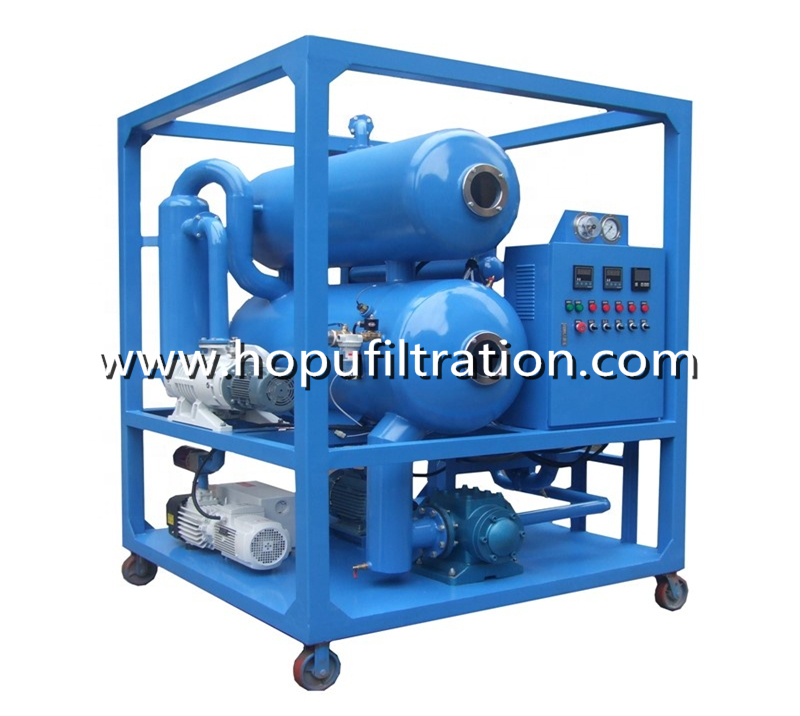 Besides the regular transformer oil purification, this machine can be also used as vacuum oil injecting and vacuum drying equipment for transformers, it is cost-effective, easy to operate. 9.UK G technology by which the trace water that is show chain, such as dissolved water, can be removed effectively. Your inquiry is warmly wecomed!